This exhibition highlights the variety of flowering plants commemorated on US postage stamps during the past 50 years and explores artistic themes that emerged during this period. For example, the artwork portrays a variety of flowering plants found in gardens and public spaces throughout the United States and explores the symbiotic relationship between flowering plants, bees, birds, and butterflies. 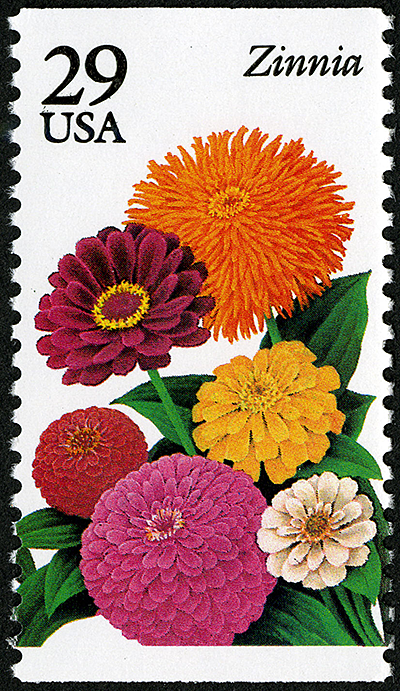 The exhibition displays at least 30 pieces of developmental and final artwork used to produce at least 28 flora stamps. The use of stamp art in various phases of development enables visitors to understand the role design artwork plays in the production of postage stamps. The artwork is borrowed from the renowned Postmaster General’s Collection which is on a long-term loan to the Smithsonian’s National Postal Museum.